The Ararat Home family came together on Saturday, August 4th, to celebrate the official opening of the new wing of our Assisted Living Facility! 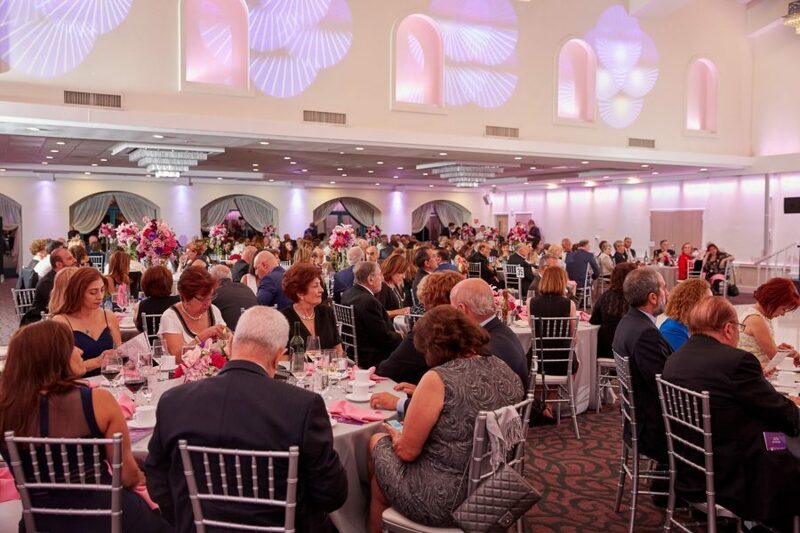 The elegant affair in Deukmejian Grand Ballroom was attended by 375 of our generous sponsors, new and long-time supporters, friends, residents and employees. Following the cocktail reception, the program began as guests warmly greeted the entrance of 20 Ararat Home residents escorted into the ballroom by staff members – a touching moment, indeed! Upon the deliverance of opening prayers by Archbishop Hovnan Derderian (Western Diocese), Archbishop Moushegh Mardirossian (Western Prelacy), Father Armenag Bedrossian (Armenian Catholic Eparchy), and Reverend Serop Megerditchian (Armenian Evangelical Union) and the performance of the American and Armenian national anthems by the Hosharian Brothers Band, Master of Ceremonies David Mgrublian set a joyous, uplifting tone for the evening. With the theme of “Building on Our Successes to Reach New Possibilities”, Michael Surmeian (Board of Trustees Chair), Nazar Ashjian (Building Committee Chair), Rita Noravian (Assisted Living Facility Administrator), and Derik Ghookasian (Chief Operating Officer) delivered remarks expressing appreciation to all those who contributed to the achievement of this expansion project, highlighting the significance of this milestone within the context of Ararat Home’s history, and relaying a forward-looking message about the Home’s mission of care and service to the community. A video presentation portraying “Life at Ararat Home” was followed by Mr. Mgrublian’s concluding and moving remarks about the unique service the Home provides our community and the importance of the community’s ongoing support of Ararat Home. Click here to view video of the event program.